Cloud phone system use 101. The hard way and the easy way. One of the favorite parts of my job is training our new customers on the use of their phone system. Maybe it's the frustrated teacher in me, but I get great satisfaction seeing our newest cutomers learn how the system works, and the many ways their communication investment will make their life easier. 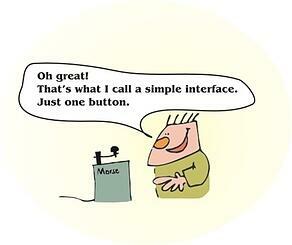 Although todays systems are highly complex buisness tools, the user interface is (well, should be) quite simple. There are really only four things you do with a phone call: answer, transfer, park, or put the caller into someones voice mailbox. Maybe if your feeling crazy, you'll conference someone else on the call. 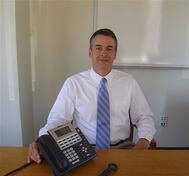 Both our installed business phone systems and Granite Cloud Phone systems are easy to use. We adhere to the KISS model of telephone system design. This does not seem to be the mantra of at least one of our competitors. 1) While on the phone call, presss the Hold key. 2) Press the "New Call" button. 6) Press the "End" button. By my count, that is 10 indvidual keystrokes just to park a call. I would not want to be in front of a room full of people telling them this is the new way to move calls about the office. Maybe this is why this particular provider only offers on line training. 1) Press an open Park button. 2) There is no step two. By my count, that is one keystroke. Throughout their video, the procedures for what should be simple tasks required feature codes and multiple steps. If you are evaluating cloud, VoIP or digital phone systems, don't just take the vendors word that the system is "easy to use". Ask them how to park a call. If they say more that a few words, you probably don't need to hear much more. Gregg Haughton has been helping businesses streamline communications, improve productivity and lower costs for over 20 years.